Your feet are extraordinarily complex structures that require a fine balance in order to function properly and carry you through the world. If you develop flat feet, this small problem can have a cascading effect over your entire musculoskeletal system. 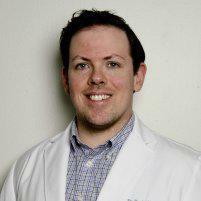 At Denville Foot & Ankle, Daniel Hennessy, DPM, helps his flat-footed patients restore balance to their feet. If you have flat feet and you’re in the Denville, New Jersey, area, call the office or use the online booking tool. Your feet contain more than one-quarter of the bones in your body, all of which are connected by a host of tendons, ligaments, and muscles that keep your feet stable. Some of the more important substructures in your feet are your arches, of which there are three: two longitudinal arches and one transverse arch. Your medial longitudinal arch is your main arch, and when this arch begins to collapse, it can cause widespread problems in your body. For example, flat feet may cause your ankles to roll inward. If your ankles roll inward, it can affect the alignment of your knees and hips, which can cause back pain. Some people never develop arches in the first place, but most flat feet stem from a condition known as adult-acquired flatfoot, which is caused by a posterior tibial tendon dysfunction, or PTTD. Your posterior tibial tendon runs from your calf along the inside of your ankle and foot and plays a significant role in keeping your arches in place and enabling you to walk. With PTTD, this tendon wears down and is no longer able to hold your arches in place, causing your foot to collapse inward. Whatever the cause of your flat feet, Dr. Hennessy has a number of solutions that can correct the problem. If your flat feet are causing serious problems with pain and mobility, Dr. Hennessy may recommend a surgical solution to improve your arches. To give your flat feet the support they need, call Denville Foot & Ankle or request an appointment using the online booking button.